Sam has been living in the New York area for the past 10 years. He followed his dreams here originally as an actor and dancer and has had success as both. Having been on Broadway in Mary Poppins, touring with numerous shows, and is in a new film starring Ben Kingsley titled A Birders Guide To Everything which premiered at the Tribeca Film Festival. That being said, Sam has always had a passion for real estate and for making people happy. He is an uptown resident and knows all areas of Manhattan with extensive knowledge. Sam has a gentle, kind, honest, forward, and organized approach to searching and finding you the perfect home. Let him hand you the keys. Bohemia is the most enjoyable company to work with. They have great agents, great property, and the experience from beginning to end is honest and straightforward. Sam even met with us at the signing to make sure we were fully accommodated. Sam was wonderful to work with. He guided myself and my best friend/roommate along the way--much needed as we were both newbies to the New York apartment world. Everything was great! "Sam was awesome -- really appreciated his time and attention. " He was a great help for me finding the right Apt at the right time on CPW. I would strongly recommend him. Sam was unbelievably helpful, honest, and real when it came to helping us rent an apartment. We ended up renting the first one he showed us. Sam goes out of his way to make sure that you are comfortable and in the know. I would definitely recommend him if you are trying to find an apartment - he'll make it much easier on you. He always responds very promptly. If I move again, I will definitely contact him first. Sam went above and beyond for us...often accommodating late-in-the-game requests and changes in deft mastery without hesitation. Everything was so much smoother than I thought it would be. My roommate and I had decided to relocate to NYC, but it was proving difficult to find an apartment while we were in another city. A friend sent us to Sam Kiernan at Bohemia and he just clicked with us. We had all sorts of weird questions and requirements, and he got us an apartment that seemed way out of our possible range. I can't even begin to express how grateful I am for Sam and BRG for making this move as seamless as possible. We were kind of under special circumstances, as our apartment would not be done by move in day. But Sam was great about keeping us in the loop through the whole process of renovations. I had such a pleasant experience working with Sam. Finding an apartment in New York is really so difficult but Sam made it easy, and exciting! And I'm so happy with the result! Sam was very efficient and really found the perfect place in my price range. The thought of looking for an apartment in NYC was rather daunting. I was not that familiar with neighborhoods and needed to find something quickly. Sam really took the time to explain the different neighborhoods and train schedules. He truly found the perfect apartment and we are very satisfied with the entire experience at Bohemia. I moved from out of state and wasn't initially planning to use a broker, but eventually figured it was worth it to find something I really liked, and I've been really happy I did. I worked with Sam Kiernan, who was great - he was incredibly patient with all of our questions throughout the process, super responsive, and gave great advice. I'd definitely recommend him to anyone who's looking in the area! I worked with Sam Kiernan and had an exceptional experience finding an apartment in upper Manhattan. I was in the unusual position of having to look for apartments while I was out of the country, and Sam went above and beyond to make this impossible-sounding task as smooth and easy as possible. I provided Sam with a list of my needs in an apartment, and he picked out a number of listings that were a great fit, including the apartment I eventually moved into. Sam will drive you to see several listings in one session (I had a friend go for me due to my circumstances), increasing the number of apartments you can view. He volunteered nearly every relevant detail about every property, and was prompt, professional and efficient in answering any further questions. When it came time to sign the lease, Sam's professionalism and work ethic also shone. We decided to do a remote lease signing, and as daunting as this prospect sounds, Sam made it easy. He sent over all the relevant documents and organized them in an easy-to-understand manner, and was available via email, phone and Skype to answer any questions, always answering very quickly. 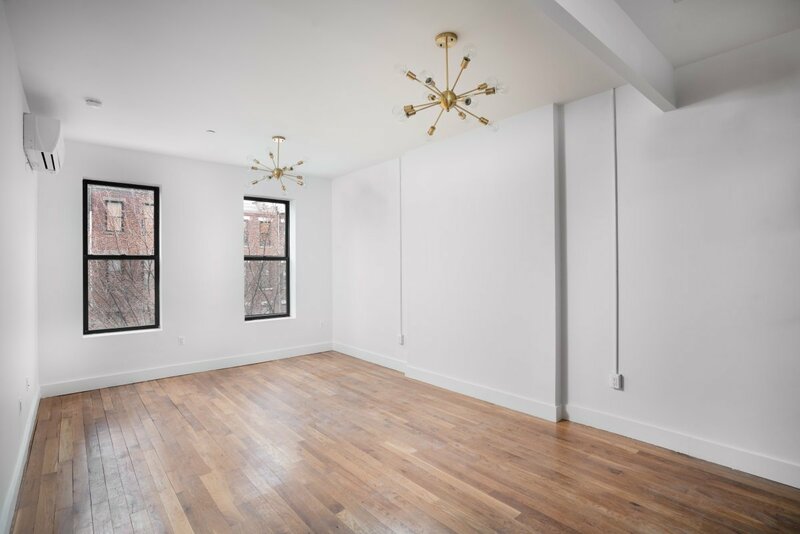 Leasing this apartment remotely would have been an absolute nightmare with a lesser broker, but with Sam's help it was actually rather painless. 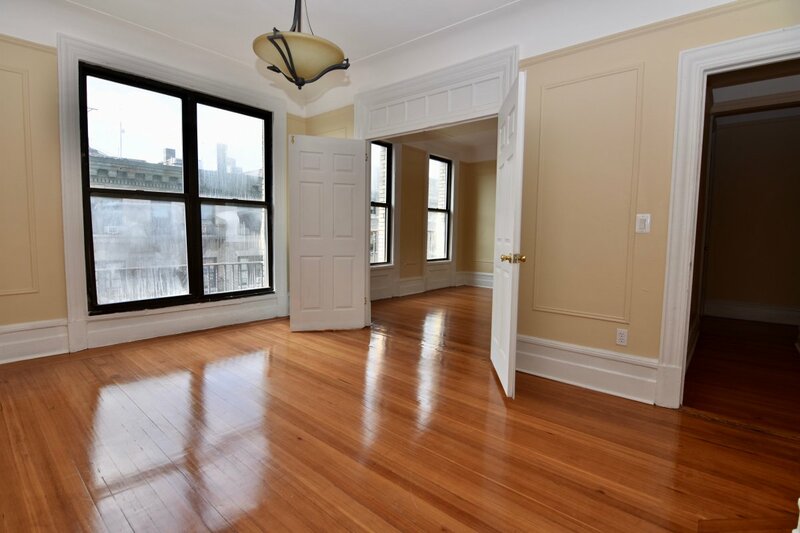 I am extremely satisfied with Sam's services and would recommend him without hesitation to any of my friends or family looking to rent an apartment uptown. We are greatly enjoying our new apartment and have Sam to thank for finding such a great listing for us. Sam was very attentive to our needs and was able to pick out a number of apartments that were a great fit for our situation. The one we ultimately ended up choosing met virtually all of our criteria. Sam was an amazing resource throughout the entire apartment-search process. He was knowledgeable, always quick to respond to questions, and able to investigate and quickly provide answers in the rare instances that he did not know something. Without hesitation I would recommend him. Sam did an absolutely wonderful job of helping us find the right apartment for our needs and facilitating the lease-signing process. The lease signing had the potential to be very difficult as I was out of the country at the time, but Sam made it as easy and painless as possible. The remote lease signing went off without a hitch and Sam did a wonderful job of providing all the necessary documents with clear and easy-to-follow instructions. Sam was able to get the apartment keys and left them for pickup at his office, which allowed us to move in on a weekend day at our convenience. This was another example of his going above and beyond. We worked with Sam Kiernan and had a fantastic experience. He worked within our budget and with our wants and needs and helped us find a wonderful apartment. We found Sam through a friend after having a less-than-pleasant experience with another agency and were so happy that we did. 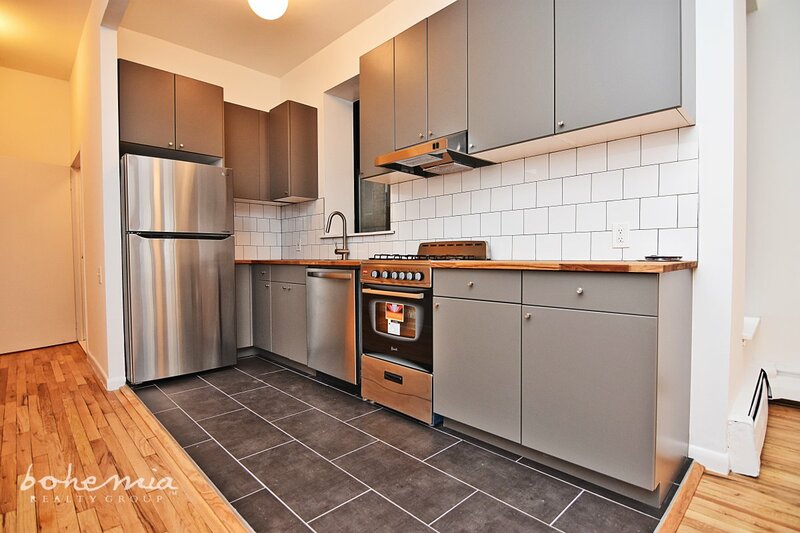 I completely recommend Sam and Bohemia Realty if you are looking for a new home in NYC! Working with Jessica and Sam was a great experience. 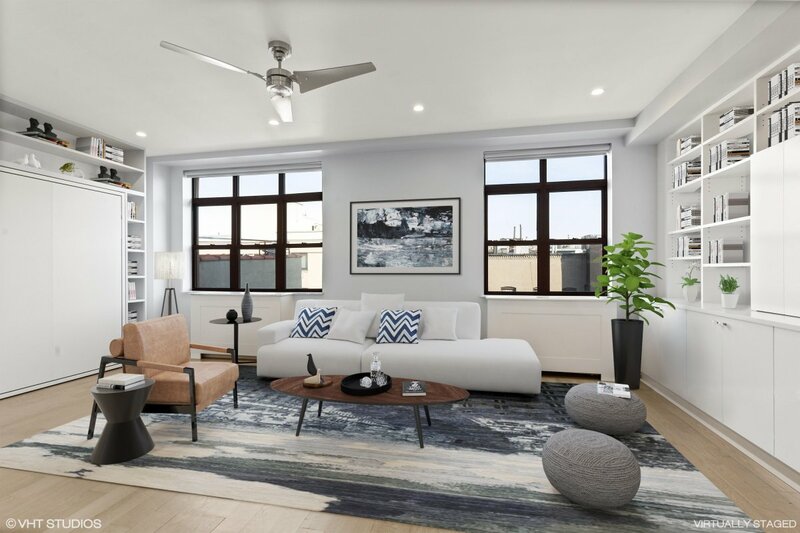 Unlike most brokers we've dealt with, it's clear that Jessica has a real affinity for Upper Manhattan, and is extremely knowledgeable about the neighborhoods she's working in. And, also unlike most brokers, Jessica was very respectful of our budget, and showed us a great range of places that were within our price range. Sam and Jessica were also extremely helpful in the leasing process; Jessica very patiently walked us through an especially rigorous application, and Sam stayed after hours for our lease-signing to accommodate our work schedules. I would absolutely recommend them to anyone trying to navigate the craziness that is apartment hunting in NYC. Sam was great: friendly, personable, and I felt like he knew what we wanted and what trade-offs we would be willing to accept given our budget. He recommended restaurants and stores nearby, knew what would be important to us and made sure we knew what to expect. I would recommend Sam to anyone looking in this neighborhood, he knows it so well. Sam was a pleasure to work with. I was, and still am grateful to him for helping me find my new home. Sam was not one of those brokers that showed you the best apartments, only to find out they were out of your budget. Or try and "sell" you on spending more. Sam made the process extremely easy and pleasant. Even when I thought I had found the perfect apartment, Sam was still open to helping me see a few more, for comparison. And that second look, included what would be my new home. Sam is affable and very responsive, and a month after signing my lease, is still going out of his way to answer any questions I may have. If you want an honest broker, Sam is def the person to reach out to. I'm an NYC native who has gone apartment hunting many times in Manhattan. Sam Kiernan at Bohemia Realty Group was by far the best broker I have ever worked with. He is professional, knowledgeable and goes above and beyond for his clients. Many brokers in NYC are pushy and sleazy like car salesmen but Sam was not like that at all! He shows you apartments in your price range and lets you form your own opinion. I would definitely suggest him and Bohemia if you are looking for an apartment in Uptown Manhattan! I had a great experience with Bohemia Realty. My broker, Sam Kiernan, was such a pleasure to work with! He made the whole experience stress free. Finding a new apartment can be very stressful in NYC and Sam was the biggest help! Sam helped me figure out what neighborhood I liked and took me to see a variety of different apartments which ultimately lead to me finding my new apartment which I am very pleased with! If you decided to go with Bohemia, I would definitely ask for Sam. I would never have imagined finding an apartment to be so easy- Sam is fantastic! Top Notch Realty. Me and Roommate had been on a eternal search for an apartment uptown. We had a previous experience with a shady Realtor who pulled a bait and switch to a less desirable spot on a five floor walk up. Its a good thing we did not place a deposit with him. Luckily we met Sam Kiernan when we scheduled an appointment to view apartments through Bohemia Realty. He was very understanding the first night when we met and explained to him our time constraints in finding a place for Dec 1st. Sam immediately went to work and pulled five or six listings we went to see that night. Although we weren't totally sold that night he was willing to go out on short notice a second night and show us five more apartments that even better fit our criteria. The guy does his homework. My roommate and I find the perfect spot that night that met our budget range and location. Sam was very responsive throughout the whole process and kept us up to date in terms of the status of the application. Overall I'm very satisfied with my experience with this Realty and I would recommend working with them if your looking for an apartment in the Harlem/Wash Heights area. I just found an apartment with the very able help of Sam Kiernan at Bohemia Realty. He went out of his way to help me find an apartment that fit my needs and budget. He was also a pleasure to deal with, and I felt that I was in very capable hands. Sam is very dedicated to helping his clients and works very hard to find them the best new home. My fiance and I worked with Sam Kiernan who is possibly the best broker I have ever worked with in NYC. We've apartment hunted a lot in the 5+ years we've been here but no one has ever treated us as kindly, courteously as Sam. He truly honestly cares and wants to make sure you are happy in your new home. He was attentive, respectful, and took out the time to understand why you did or did not like something. He also checks in -- even after you've signed! He is the antithesis of the New York stereotype of a real estate broker. I cannot recommend him highly enough. If you go with Sam at Bohemia, not only will you get the best experience, you'll get the best apartment. This was my second move in New York City. My first was two years ago when I lived in Philadelphia PA. Not knowing the city enough I had to rely on craigslist. My first apartment was a good transitional apartment, but that was all it was. I was ready to find an apartment that was more spacious, had better amenities, and in a good neighborhood without breaking the bank. After some research, I found Bohemia Realty and I could not have been happier to have found them. I had the option to work with a few Brokers but i was lucky to find Sam Kiernan. I am sure all the brokers at Bohemia Realty are amazing, but Sam was the perfect fit for my room mate and me. He immediately responded to my email and after a concise yet informative conversation describing what we were looking for in an apartment, he set up an apartment viewing. Once we met in person and looked at the first apartment we had a better understanding of what type of apartment we could get for our price range. On the second day of apartment viewings we found our apartment. Once my room mate and I decided we wanted to apply, Sam immediately got the paper work together for us. He kept us completely in the loop with the progress of our application and when we would get our answer from the management company. We were fortunate and only had to wait a few days to hear back and we got approved. It was such a smooth process with Sam helping us. He still likes to check in and make sure we are satisfied with the apartment. His level of professionalism and customer service goes above and beyond any other broker I have work with in the past. 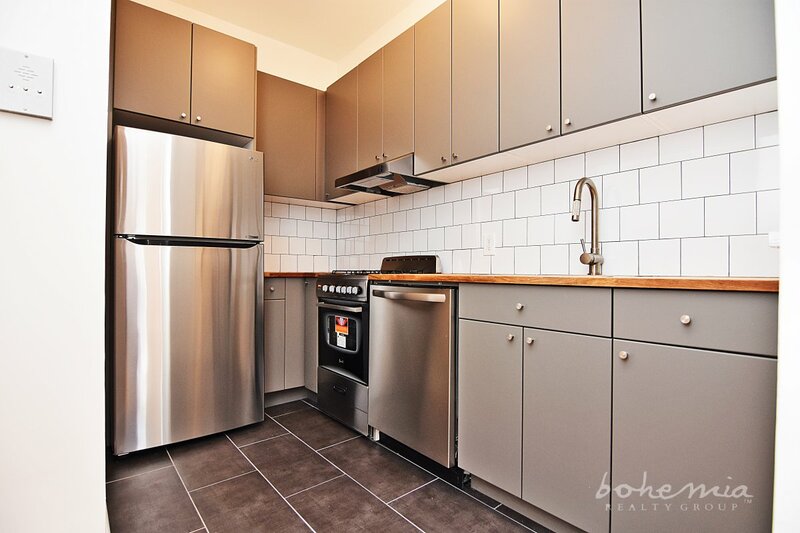 I strongly suggest using Bohemia Realty when looking for an apartment. You won't be disappointed. "My broker was Sam Kiernan and Sam, in a word, was fantastic. Renting in New York is a stress-induced nightmare, but Sam made the search fun, exciting, and relaxing. His positive, upbeat attitude and friendly, outgoing nature are a blessing in a city where the majority of brokers show you one apartment and say, "You gotta sign right now!" Sam takes the time to listen and recalibrate based on feedback. He gives you options and lets you see different neighborhoods so you can get a sense of what you like and what you don't. 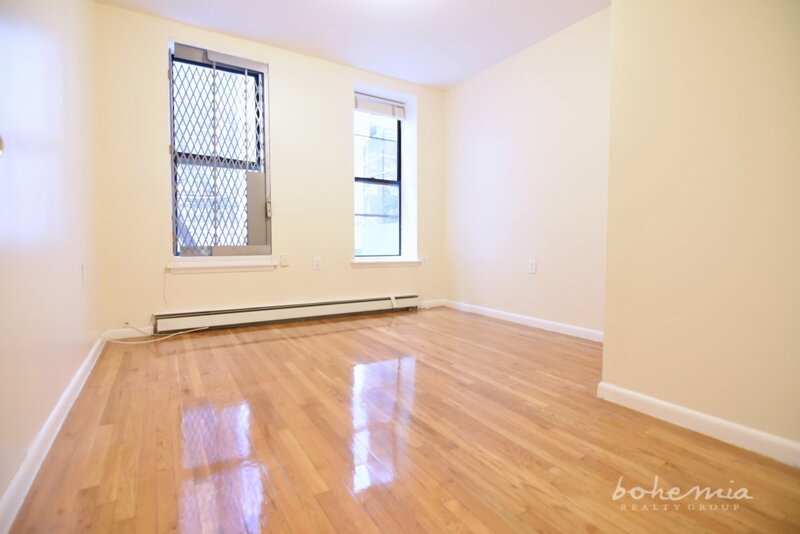 I **highly** recommend him for anyone looking in upper Manhattan." Perfect Parkside Pad! No Fee!! Amenities: Custom Closet, Washer/Dryer More.. Living Space For Days! No Fee for 2! Brownstone Stunner in Prime Harlem!